They jump, they twist, they flip, they spin. What do you think they're called? 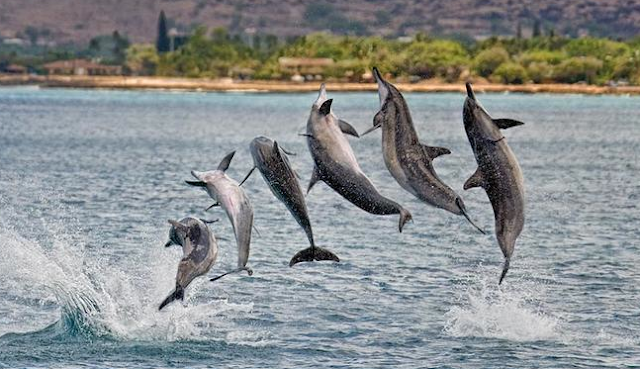 Yep, Spinner dolphins!